Two engineering students in US reportedly duped the iPhone maker for more than Rs 6 crore by exploiting Apple's return policy. 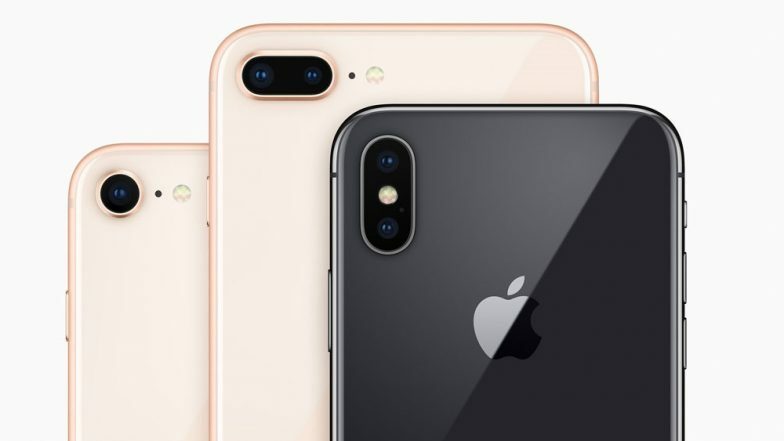 As per the report from The Oregonian, the students named Yangyang Zhou and Quan Jiang carried out this scam by importing thousands of fake Apple iPhones from China and later return them to Apple under the replacement policy. The Cupertino-based company was duped by the duo when they apparently placed replace or repair requests for the counterfeit iPhone shipments from China which were returned claiming they failed to power on. Apple Music Subscription Price in India Slashed To Rs 99 Per Month. After exploiting Apple’s return policy, there contact in China would sell the original iPhones at the standard price and they would get they cut from the same. It is important to note that not all requests were accepted by the company. Jiang had raised over 3000 warranty claims of which only 1493 were accepted while the remaining were rejected. The replaced 1493 units of Apple iPhones reported cost the phone maker $895,800 which is approximately Rs 6 crore. These warranty claims were raised by Jiang by either name, email, address or IP address. In the year 2017, Jiang submitted around 2000 replacement requests through online support, shipping back to Apple or walking down to Apple store. Moreover, the engineers at the phone maker were not able to find whether the devices were fake particularly because they wouldn't power on, according to the market reports. Moreover, the phone maker doesn't ask for proof of purchase as per the Verge. Apple had sent a cease-and-desist notices at Jiang’s address, however, he claims that he never received any notification from the company stating that the iPhone returned by him were counterfeit. As of now, both the engineering students remain out of custody. Jiang is currently being monitored by GPS. Previously, there were some report which claimed that a Lithuanian man scammed Google as well as Facebook of huge sum by producing fake invoices. Both the companies reportedly paid for the invoices worth of more than $122 million which they never ordered.